Happy Monday! 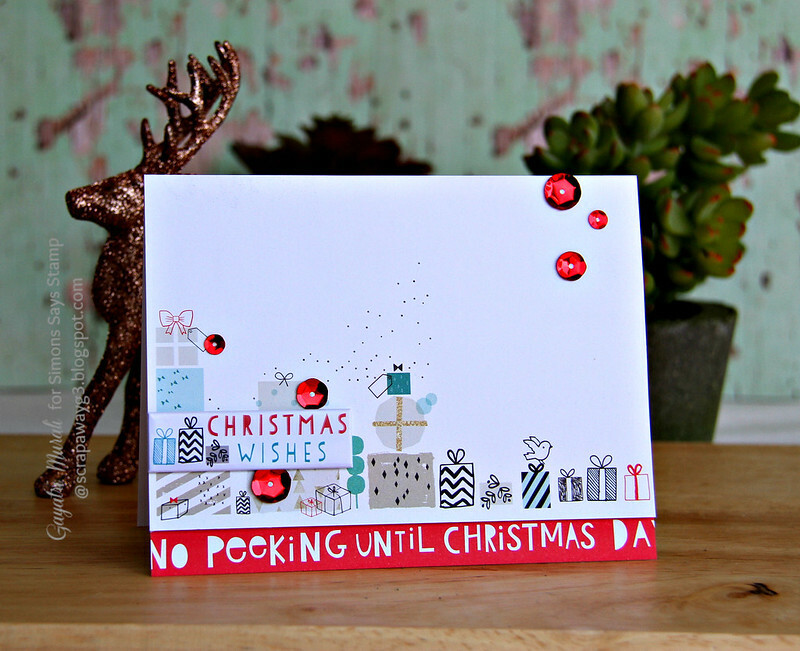 Sharing my two of my cards I made using Simon Says Stamp December card kit. This first card is a no stamping card. 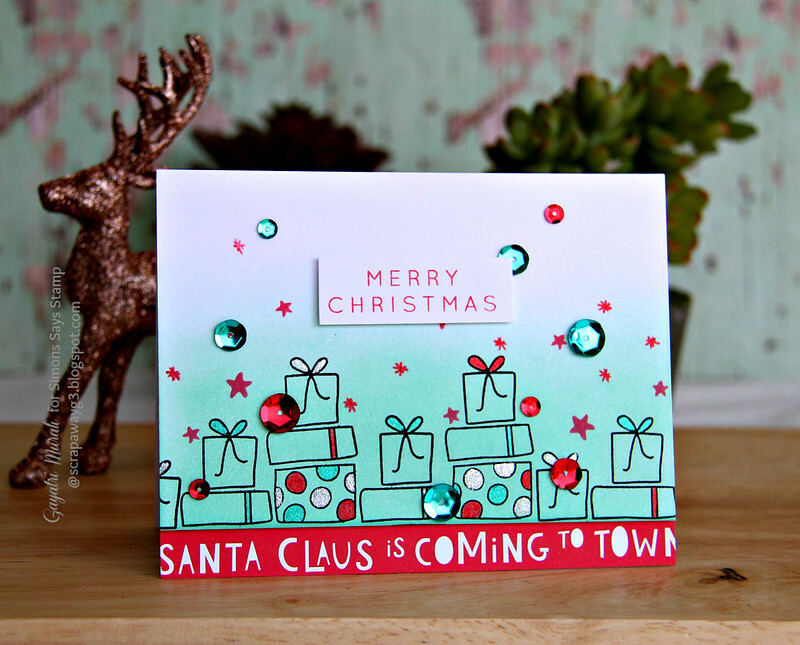 I have used the gorgeous and trendy pattern papers and embellishments from the kit to make my card. I found the pattern paper with all the gift boxes go really well with the No Peeking Until Christmas Day Sentiment on the red sentiment pattern paper. So I paired them. Then I used the puffy stickers with gift boxes as the main sentiment. Finally embellished with the bright metallic self adhesive sequins also from the kit. This card inspired me to make another one using the gift boxes stamp in the stamp set from the kit. I stamped and heat embossed the gift box image on the bottom of a white card panel, masking off to get an uneven line of gift boxes across the white panel. Then I sponged some Fresh Mint ink from Simon Says Stamp in ombre fashion with the dark shade at the bottom of the panel fading away to white on the top of the panel. Then I stamped all the stars from the stamp set using Hot Lips ink from Simon Says Stamp. I coloured the ribbons and polka dots in the gift boxes with glitter pens I had in my stash. This panel is paired with the red sentiment pattern paper in the kit. I also stamped the Merry Christmas sentiment on white card strip and adhered. Finally embellished with the self adhesive sequins from the kit. Such fun cards. Thank you for sharing. Great cards! I like both but I'm in love with the second one!